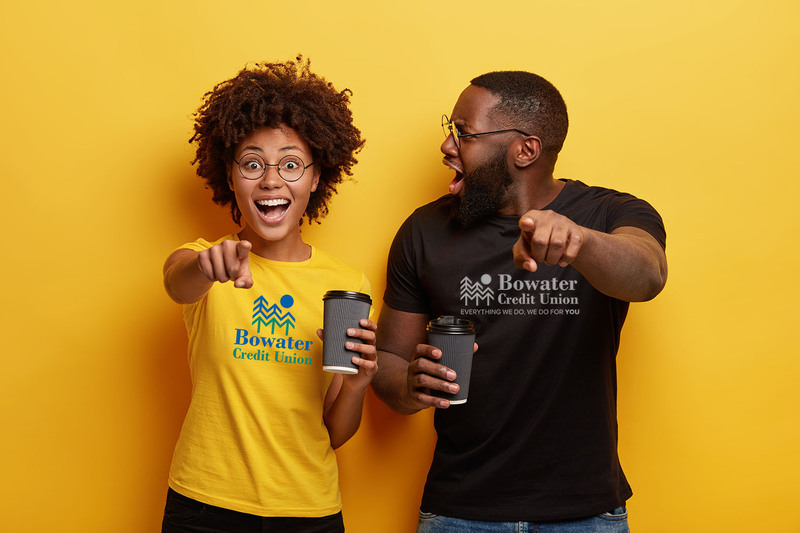 Combine your design skills with your love of Bowater Credit Union to create the perfect Member Appreciation Day T-shirt! This Member Appreciation Day we’ll be giving away hundreds of T-shirts as a “thank you” gift for our members. We want help designing a shirt that people will be proud to wear and will represent what Bowater Credit Union is all about. The winning designer will receive $100 cash and up to 10 shirts for friends and family! Design must be solid black on solid white. The actual T-shirt and printing color will not necessarily be black on white, but it will be solid color on a solid color. Design will be for the front of a T-shirt, and must fit on an 8.5” x 11” sheet of paper. Submit designs by e-mail to kgunter@bowaterecu.org or by mail to: T-shirt design contest, Bowater Credit Union, 1040 King St. SE, Cleveland, TN 37311. You must be a member or joint owner of Bowater Employees Credit Union to enter. The top 5 entries (chosen by credit union employees) will be voted on by the membership in the July newsletter and online. All entries become property of Bowater Credit Union. In entering the contest, the member agrees that their design may be used by Bowater Credit Union for promotional purposes. Employees of Bowater Employees Credit Union and their immediate family are not eligible.